Norwegian tax authorities want to make sure pilots and flight attendants based in Norway aren’t flying away from their tax obligations. They’ve launched a major probe into those who aren’t full-time employees but instead are hired in by airlines like Norwegian and Ryanair. They suspect that many pilots and flight attendants aren’t paying taxes to Norway, even though they are Norwegian citizens, live in Norway and work out of Norwegian airports. The airlines, over the protests of unions representing pilots and flight attendants, have been trying to cut costs by literally leasing aircraft personnel from temporary employment bureaus outside Norway. 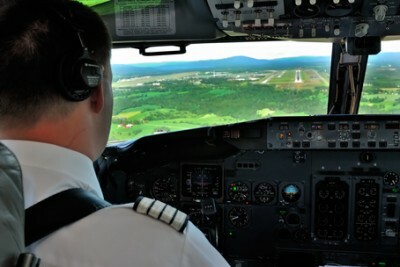 Pilots, most of whom would prefer to be full-time employees with the benefits that would entail, are increasingly ending up as selvstendig næringsdrivende (sole proprietors) working on contracts through temporary employment bureaus used by airlines. Newspaper Finansavisen has reported that Ryanair, the low-fare Irish airline, uses a bureau based in Gibraltar, while Norwegian has started using one registered in Estonia. This bothers tax authorities not only in Norway but in Sweden and Finland as well. Pia Blank Thörnroos of Sweden’s Skatteverket told DN that she and her colleagues were “very interested” in the Norwegian probe. “We’ve had many such situations in other branches, and now we see that we must examine the airline industry as well,” she told DN. Ryanair, for example, has been flying out of the Moss Lufthavn at Rygge for several years, but DN reported that none of its crew members working out of Rygge are employed directly by Ryanair. Norwegian, meanwhile, has been using around 30 pilots from a base in Malaga, Spain, none of whom are full-time employees, and also has a base in Helsinki that hires pilots from a bureau registered in Estonia. Ryanair didn’t respond to requests for comment from DN. Anne Sissel Skånvik, communications director at Norwegian, said tax authorities’ concerns “are completely unknown to us” and that no one from Skatt Øst had posed questions either to Norwegian or the employment bureau it uses. The leader of the pilots’ union Norsk Flygerforbund is also watching developments closely. “We believe in principle that pilots should be employed by the company they fly for,” Aleksander Wasland told DN. He said there are “many long-term consequences” of the different treatment received by full-time employed pilots and those hired in on temporary contracts. “And it’s unfortunate that we have pilots who feel a fundamental lack of security over their jobs,” he said.